Sara Gruen wrote the first draft of her exquisite bestseller Water for Elephants in four weeks. 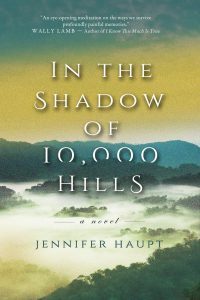 For a while, during the 11 years it took me to finish my debut novel, In the shadow of 10,000 Hills, I used that information to beat myself up. 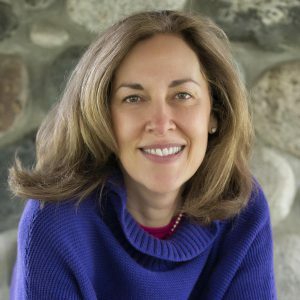 I spent close to two decades making my living as a freelance journalist, at first focusing on parenting advice as a young mom. I thrived on the adrenaline rush of pitching story ideas to multiple editors, juggling the completion of articles under tight deadlines. The work didn’t need to be perfect, it would be edited, but it did need to be submitted on-time. When my two sons became self-sufficient teens and I embarked on writing a novel, setting a deadline seemed to make perfect sense. I gave myself a year. After that year was up, I was happily steeped in novel-land, so I extended my deadline to three years. I wrote every morning, first thing, for three hours before I started my “real” work. It was a joy…until it wasn’t. I didn’t give up. I’m not a quitter. Failure was not an option after investing three years in this story, these characters. Instead, I entered a state of active non-accomplishment. A creative stasis that consisted of sitting in my black leather Barcalounger every morning, as usual, lighting a candle of compassion nestled in rose quartz, and then rubbing the belly of a little imperfect Buddha missing his right arm. I said a prayer of gratitude to the higher power of creativity, the Muse, that I had considered my partner because who can do this work alone? Not me. And then, I sat. I wrote a little but mostly I beat myself up. I ate, I cried — a lot. And then, when my three-hour writing/flogging time was up, I blew out the candle and vowed to do better the next day. This went on for a few months and it probably would have gone on for longer. Like I said, I was no quitter. I was going to sit in that damn chair until my novel was done — or I died. The thing that saved me was this: the power cord to my laptop had a shorted wire or whatever, it just stopped powering up my computer. I didn’t even notice until the blue screen of death went black. My first thought was not to head to the Apple store to replace the cord. Instead, I printed out my imperfect novel, wrapped it in yellow tissue paper and placed it in a drawer. I didn’t have a timeframe for when I would pull my novel out of that drawer again, but I was confident I’d know when the time was right. During the next two years, I read a lot. I took classes. I wrote a totally new novel to hone my craft. I also learned to make fabulous soups, replanted the garden in my front yard, and went on long walks with my dog in the woods across the street from my home. I refueled.